Hear the unique music from the eve of an aesthetic revolution, daring, experimental works of the French Rococo. These pieces from the 1740s and 1750s don’t conform to our expectations about baroque music, but they’re not quite Classical either. Rather, they mix the humor and wit of early Haydn and Gluck, a little of C.P.E. Bach’s Sturm und Drang, and characteristically lush French harmonies together to create a truly unique sound. We will sample works by François-André Philidor, Jean-Philippe Rameau, and more. LES DÉLICES (pronounced Lay day-lease) explores the dramatic potential and emotional resonance of long-forgotten music. Founded by baroque oboist Debra Nagy in 2009, Les Délices has established a reputation for their unique programs that are “thematically concise, richly expressive, and featuring composers few people have heard of.” The New York Times added, “Concerts and recordings by Les Délices are journeys of discovery.” The group’s debut CD was named one of the “Top Ten Early Music Discoveries of 2009” (NPR’s Harmonia), and their performances have been called “a beguiling experience” (Cleveland Plain Dealer), “astonishing” (ClevelandClassical.com), and “first class” (Early Music America Magazine). Les Délices made its New York debut before a sold-out audience at the Frick Collection in May 2010. Highlights from recent seasons included performances for Music Before 1800, Boston’s Isabella Stewart Gardner Museum, San Francisco Early Music Society, the Yale Collection of Musical Instruments, and at Columbia University’s Miller Theater. In addition to touring engagements, Les Délices presents its own annual four-concert series in Cleveland art galleries and at Plymouth Church in Shaker Heights, OH, where the group is Artist in Residence. 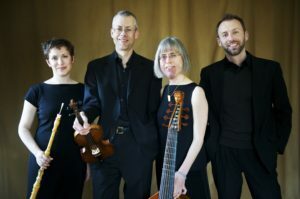 Les Délices has been featured on WCPN, WCLV and WKSU in Ohio, WQXR in New York, NPR’s syndicated Harmonia and Sunday Baroque, and had their debut CD featured as part of the Audio-guide for a special exhibit at New York’s Metropolitan Museum of Art (Watteau, Music, and Theater). Les Délices eagerly anticipates the release of their 3rd CD, “Age of Indulgence,” in 2017. “A baroque oboist of consummate taste and expressivity” (Cleveland Plain Dealer) with a musical approach that’s “distinctly sensual…pliant, warm, and sweet,” (New York Times), DEBRA NAGY, DIRECTOR, is one of North America’s leading performers on the baroque oboe. 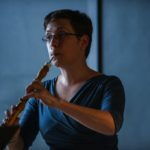 She plays principal oboe with the American Bach Soloists, Seattle Baroque Orchestra, and Apollo’s Fire, and is a regular guest with the Handel & Haydn Society, Boston Early Music Festival, and Portland Baroque Orchestra, among other ensembles. Following studies at the Oberlin Conservatory, Conservatory of Amsterdam, and Case Western Reserve University, Debra has received many awards for her creative and scholarly pursuits including first-prize in the American Bach Soloists Young Artists Competition, a 2009 Fellowship from the National Endowment for the Humanities, and a 2010 Creative Workforce Fellowship from Cuyahoga Arts & Culture. 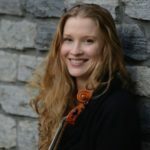 She has recorded over 30 CDs with repertoire ranging from 1300-1800 on the Chandos, Avie, CPO, Capstone, Bright Angel, Naxos, and ATMA labels, and has had live performances featured on CBC Radio Canada, Klara (Belgium), NPR’s Performance Today, WQXR (New York City) and WGBH Boston. JULIE ANDRIJESKI is celebrated as a performer, scholar, and teacher of early music and dance. She has been recognized for her “invigorating verve and imagination” (Washington Post), “fiery and poetic depth” (Cleveland Plain Dealer), and “velvety, consistently attractive sound” (New York Times). In addition to her frequent performances with Les Délices, she is Co-director of the ensemble Quicksilver, Artistic Director and Concertmaster of the Atlanta Baroque Orchestra, and Principal Player with Apollo’s Fire, the Cleveland Baroque Orchestra. Ms. Andrijeski joined the Music faculty at Case Western Reserve University in 2007, where she is now Senior Instructor, teaching early music performance practices and directing the baroque orchestra, chamber music, and dance ensembles. She won Early Music America’s Thomas Binkley Award, for outstanding achievement in performance and scholarship, and was named a 2016 Creative Workforce Fellow by Cuyahoga Arts & Culture (Ohio), supporting her research and performance of 17th-century music in manuscript. EMILY WALHOUT grew up playing the cello, but discovered her love for baroque bass lines at Oberlin Conservatory, where she took up the baroque cello and the viola da gamba, thus launching an active career in early music. Ms. Walhout was a founding member of La Luna, and was a member of The King’s Noyse from 1987 through 2004. 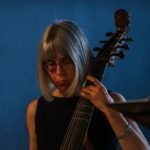 She has played viola da gamba or principal cello for the Boston Early Music Festival Orchestra, Seattle Baroque, Portland Baroque, Les Boreades, Les Violons Du Roy, New York Collegium, and Trinity Consort (Portland, OR). 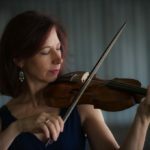 Ms. Walhout has toured as a chamber musician throughout North America and Europe, and she has recorded extensively with the Boston Camerata, La Luna and The King’s Noyse. A resident of Waterown, MA, Ms Walhout maintains a small studio of private students and coaches several devoted viol consorts. He has given solo recitals at a number of prominent festival and concert series, including the Utrecht Early Music Festival, Bozar (Brussels), the Montreal Baroque Festival, and Clavecin en concert (Montreal). He has had concerto performances with a number of award-winning ensembles, including Il Gardellino (Belgium), Neobarock (Germany), and Ensemble Caprice (Canada). 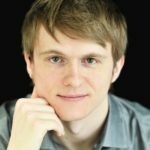 Also an active chamber musician, he is a founding member of l’Ensemble Bach de Montréal, and has performed with Les Boréades de Montréal, Il Pomo d’Oro, Pallade Musica, and Flûtes Alors!